Carleton Falcon, originally uploaded by johnwmacdonald. 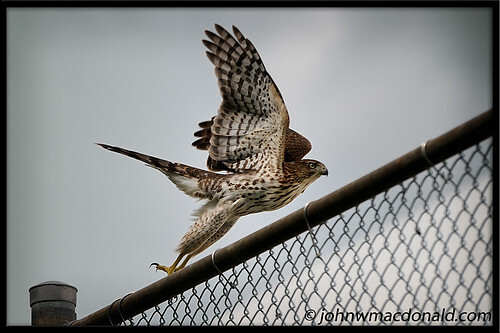 I spotted a Cooper's Hawk near the Carleton University tennis courts today. this is absolutely gorgeous, John. I discovered this site via Bookninja, and i must say that your photos are absolutely wonderful. You have a great eye.